This is an easy tour to an overlook point where you can enjoy a snack or lunch as you look down on Big Canyon and in the distance Sierra Valley is prominent. 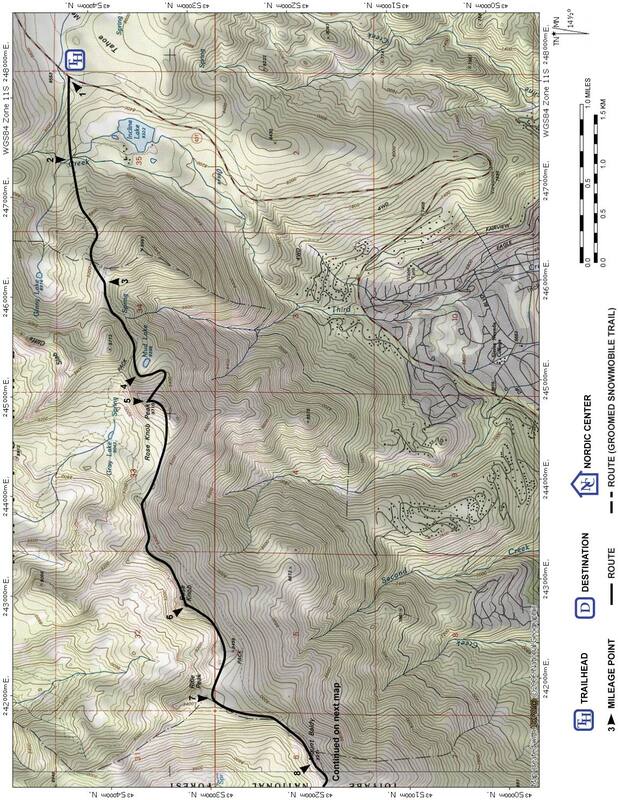 The route follows roads that are marked and beginners will find navigation easy. You will likely find yourself sharing the first mile of the tour with snowmobiles since it is a designated snowmobile route and normally groomed. The last half-mile of the tour is on a road closed to snowmobile use. The snowmobile noise and fumes will be the worst at the trailhead where they idle while getting ready. The Yuba Pass Vista tour is the beginning of the longer Lunch Creek tour that is rated intermediate. Both tours were originally marked by now defunct Skiers and Hikers for Outdoor Enjoyment (SHOE) and they were remarked by the Nordic Voice, the predecessor of Snowlands Network. Ski on the east (right) fork for 0.5 mile until you reach a location where the road turns north and a minor ridge heads southeast (3). The vista point is 200 feet out on the minor ridge. 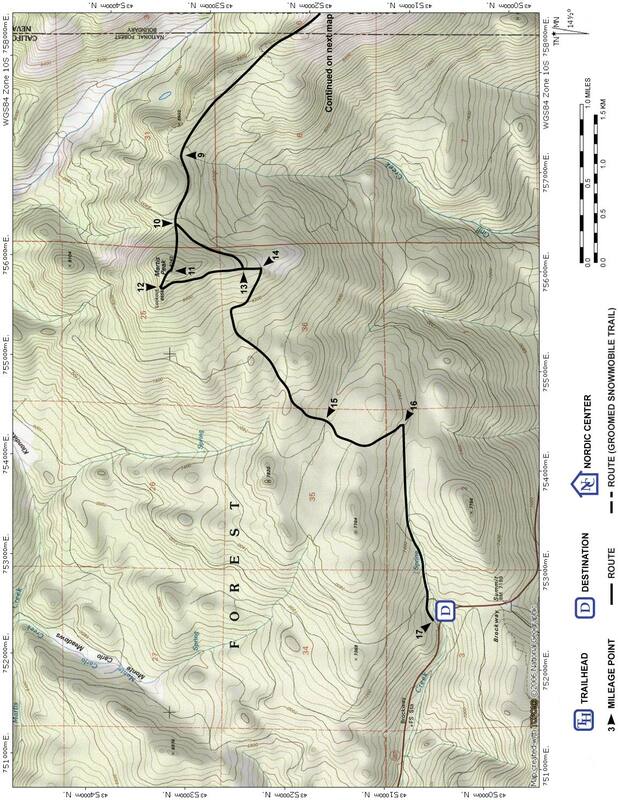 Retrace the route for 1.5 miles back to the trailhead (1).